Jane Elizabeth Tolson was born in Yorkshire in 1879, and followed her older brother John Edwin into the teaching profession. 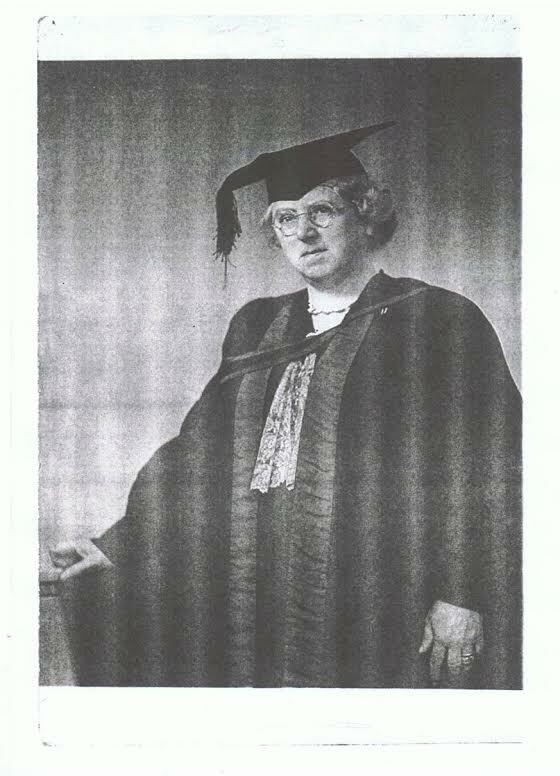 A qualified teacher, geography specialist, member of the Royal Geographical Society able linguist and inveterate traveller, Miss Tolson held a series of teaching posts, becoming a head teacher for Staffordshire County Council by 1911. It was whilst she taught at Quarry Bank Worcestershire that she met her future husband, Albert Shaw, a Mineral Water manufacturer. They married in the spring of 1924, but sadly, Albert died later that year. 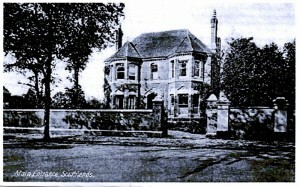 Mrs Tolson-Shaw subsequently came to Leamington where, in 1933, with only 5 pupils registered, she founded Southlands School at 85 Radford Road. She named the school after her old college, and, according to contemporary Nickie Hall in a memoir, as she loved “royal” purple and often wore it, she chose the colour for her pupils’ uniform. 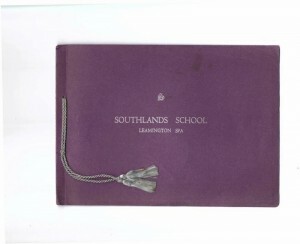 The school motto, incorporates into the gothic silver “S” embroidered on the uniform was “Service.” Mrs Tolson-Shaw’s energy, enthusiasm and wide vision soon bore fruit: the school grew, and began to take boarders, whose parents were often serving overseas in the diplomatic and other services. In her obituary in the Leamington Courier, Elizabeth Mordecai recorded that during school holidays when many of the boarders had nowhere else to go , Mrs Tolson-Shaw simply took them home to her house in Weston. A multi-talented person in her own right, Mrs Tolson-Shaw was the author of a book on paper-making, an examiner for the Associated Board, a gifted pianist and composer who could be relied on to produce appropriate pieces for any school production. She was ahead of her time in moving away from the strict school prescription of the three Rs, believing strongly in nourishing the intellect by enthusiastic support of the individual with access to a wide curriculum. Maps were a prominent feature throughout the school, as part of that curriculum. 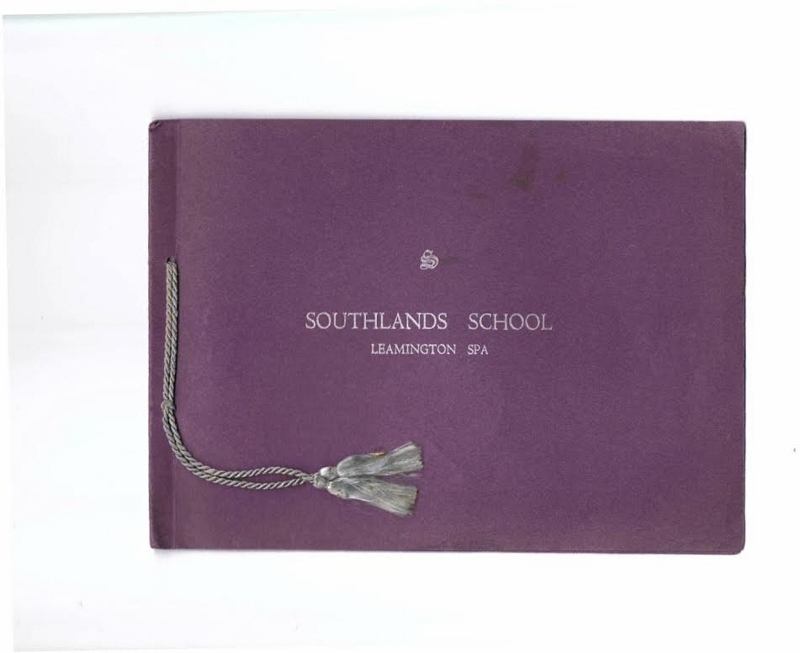 “Citizenship”, a significant feature in 21st century schools, always featured largely at Southlands, with emphasis on the work of the police, mayor-making and other civic functions and responsibilities. 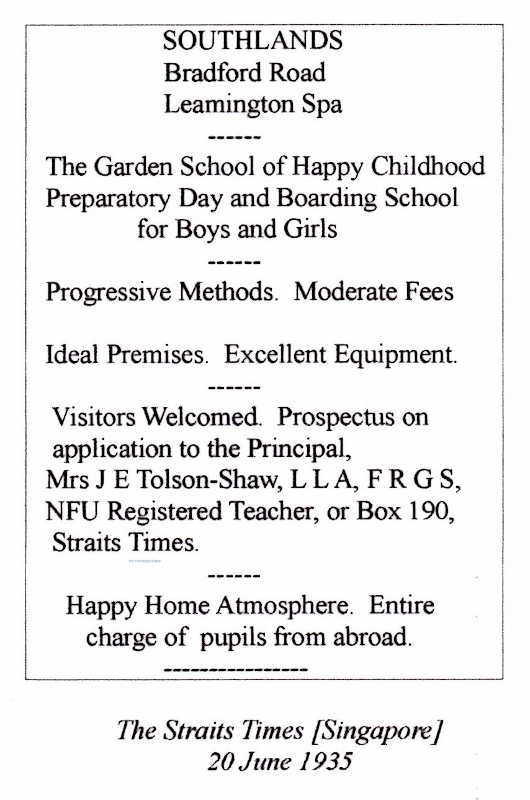 Mrs Tolson-Shaw owned and ran the school from 1933 until retirement in 1938, when Mr and Mrs Groves took over. She published a souvenir booklet, listing the achievements of pupils and staff past and present, and wishing the school well under its new directors. 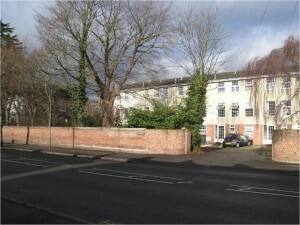 Her future home was to be close by at 54 Leam Terrace, where she planned to welcome friends, pupils and parents to form a happy Southlands Circle focusing on social and educational activities. 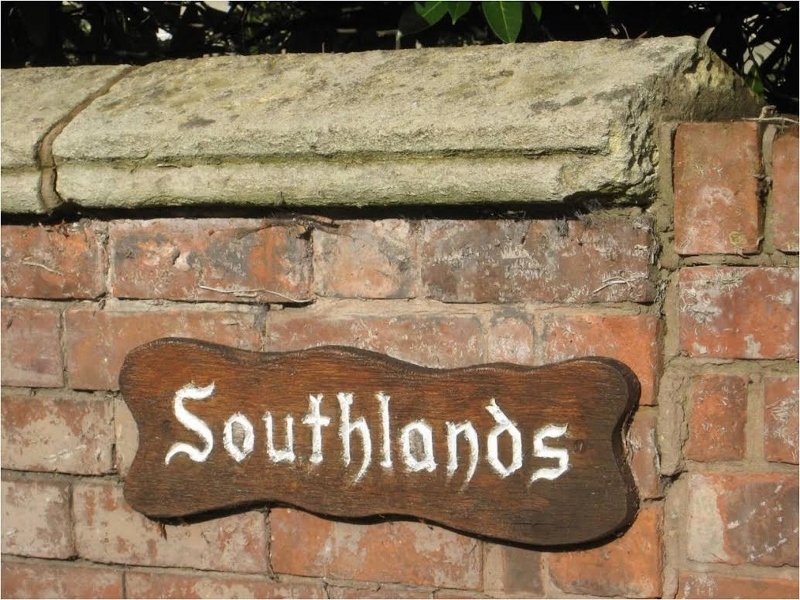 In addition to running Southlands, Mrs Tolson-Shaw played a significant role locally in youth work at St Mary’s Church, a short distance away from her school. She founded St Mary’s Junior Church, contributing generously towards the conversion of the south aisle into a chapel for young people, with stained glass windows showing St Francis of Assisi, and Saint Cecilia, the patron saint of music. With her backing, St Mary’s Guild of Youth put on musical events and plays, had talks from guest speakers, and held ‘at home’ events at the Pump Rooms. In 1945, she donated a picture, “The Young Reader”, to the Junior Library at Avenue Road (now in the collection of the Leamington Spa Art Gallery and Museum, and the topic of a future Friday Focus talk by Nigel Briggs). 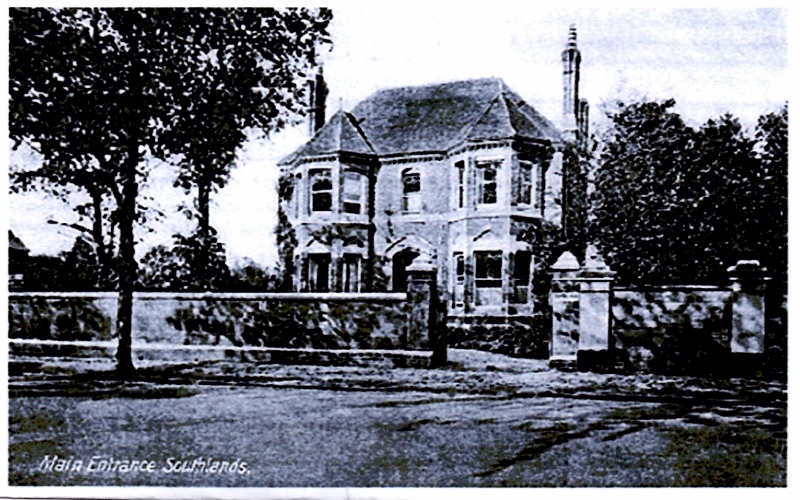 When she left Leamington, Mrs Tolson-Shaw made a gift of Southlands to St Mary’s Church, to be used primarily as a youth centre, but she also hoped that with a resident warden the bedrooms might be used for older parishioners. In her 80s, Mrs Tolson-Shaw was still travelling, spending her winters first in Cyprus and later in Bermuda. 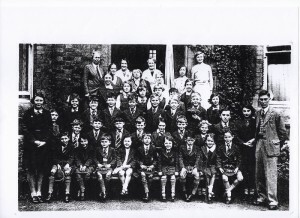 She died aged 93 in 1972, and is still fondly remembered by a handful of old pupils. 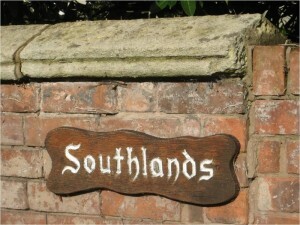 Southlands was demolished for redevelopment as town houses and apartments, but the name is preserved at the entrance. I attended Southlands Preparatory School from around 1949 to 1955/6 when I left to go to Leamington College for Boys. School uniform was a rather fetching purple blazer with a large S on the pocket. 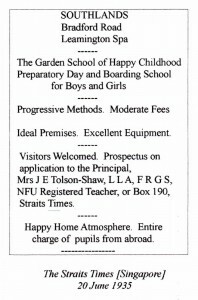 The Headmaster, Mr Groves was fairly rotund with a balding head. He was assisted by his wife, Mrs Groves. Their daughter Daphne was a pupil at the school. 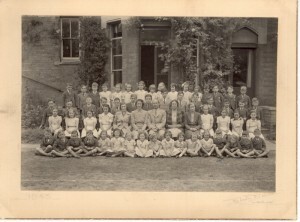 The only other members of staff I recall were Miss Bastock, who taught French, and Betty, who served lunch. I do however remember a number of my contemporaries, – Susan Tandy from Ashford Road, Whitnash, whose parents ran a greengrocery in Regent Grove; Kenneth Eaton, whose father was in local politics; Graham Jerram, whose father was a member of Leamington Archery Club; Paul Mitchell who lived above a shop in High Street near to the Bridges, and Brian Povey whose family ran the Dry Cleaners in Warwick Street and lived next door to the school in Radford Road. The school routine was as follows: Assembly each morning and when our turn came around we had to read the day’s Bible lesson to the entire school. Times tables read on an individual basis regularly with Mr Groves sitting in front of his rather smart roll-top desk. Sports held regularly at the school sports ground at the rear of the allotments in Radford Road, opposite the lane to Sydenham Farm. Other games took place on the large lawn at the side of the house, or in wet weather, on the covered yard at the rear. Another vivid memory is sitting for lunch at the Headmaster’s table and being taught the correct way to use fish knives and which glass was appropriate for which wine (none of which we were given!!!) But I can still bone a fish adequately. 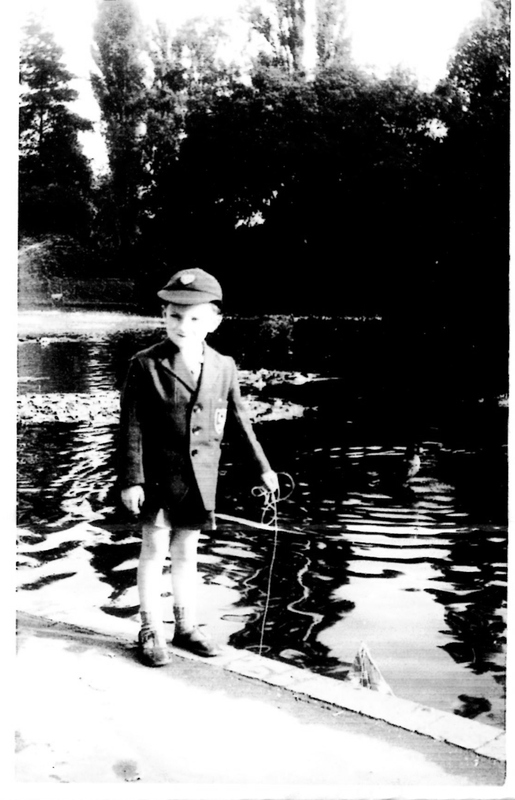 After a hard day at school I walked along past the Warneford Hospital to the bus stop out side Frettons in Clemens Street, for the bus back to Whitnash. Oates’ Fish and Chip shop was always a temptation!